You see above Berenger Sauniere's regalia and he has a triangle that points down which has two tassels hanging. I have already written on a past article about how Sauniere on his other regalia had the symbol for the Tetragrammaton withing a triangle on another vestment worn by Sauniere. It is located and can be seen at the Rennes Chateau museum. It seems Pope John the XXIII had a pectoral cross with the triangle with the all seeing eye on it. It is seen in cathedrals like Saint Germaine in France.It is surrounded by cubes. In the tetragrammaton the four letters that is the name of God is written in the center of the triangle. YHWH is written in the bible as the name that must be spoken with great reverence. 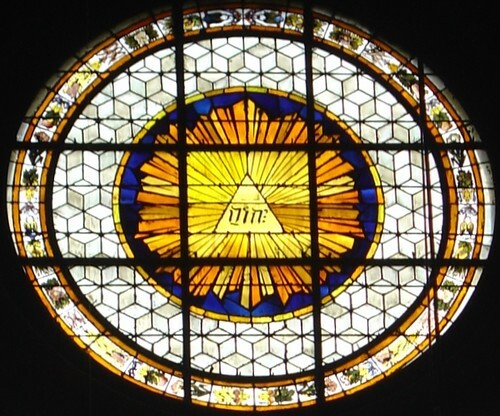 The triangle with the all seeing eye is used as a mystical symbol for many different groups such as the Freemasons, Scottish Rite, and Roisicrucians. A document at the cathedral brought a interesting connection with Rennes Chateau. A group of Osage Indians came to Saint Louis and requested from Bishop DuBourg missionaries to come teach their people. Out of the four only two survived the disease of the city which the Indians had no immune system to protect them. The two Indians that died were baptized and given their last rites by a priest named Father Saulnier. The Saulnier family in genealogy goes back to a ancient Perigord region family. Armand Perigord was a Grandmaster of the Knights Templar. It formed the northern part of the region of Aquitaine. In heraldry, they are connected to the Sauniere family. It seems the Saulnier family were from Nova Scotia and New Orleans. They are listed in the Acadian genealogy families. Below is the document found at the Saint Louis Cathedral in Saint Louis telling us of Father Saulnier. Bishop Dubourg was trained at Saint Sulpice began by Ollier who was friends with Saint Vincent DePaul. Ollier and Vincent De Paul were close friends. Dubourg family came for a ancient Lanquedoc family. Dubourg was eventually buried at Besacon Cathedral in France home of the Shroud of Turin before stolen. Another ArchBishop dubourg was buried at Bensacon. Bensacon cathedral has the coincidence of having two DuBourg Bishops buried there. Another Cardinal Dubourg is buried at the Cathedral at Rennes. The Dubourg family has definite connections to the French Catholic Church. Another coincidence is at the cathedral is a picture that has connections with the Priory of Sion group talked about in the book Holy Blood Holy Grail by Lincoln Baigent and Leigh. It was a group also referenced in the book DaVinci Code by Dan Brown. DuPlantier states in Priory documents that this painting is an object of meditation. One thing interesting in this picture is the plaque above Jesus head. "Jesus of Nazarene King of the Jews" is written in Greek Aramaic and Latin. The word Nazarene is important since the word Nazareth is often used. The Nazarenes may have lived in a another area different from Quamran where the Essenes lived. It states here that Jesus was a Nazarene. The first picture of Sauniere shows him wearing his vestments and a triangle forms over his heart with two tassels hanging down. Saint Vincent De Paul is seen wearing the same triangle tied by a cord. Saint Vincent De Paul Society is connected with the Saint Louis Cathedral in Saint Louis helping to build it. Pope Pius the X is also shown having the triangle pointing downwards in his regalia. Abbe Sauniere has his also tied in the same fashion. The number four plays a significant part of the Rennes Mystery. The triangle with the tassels hanging down on Sauniere chest maybe the symbol for the number four. At the Magdalene Chapel are four angels representing the four archangels, four cardinal points, four elements, and four Royal stars Leo, Scorpio, Aquarius, and Taurus. The angels are making the sign of the cross. 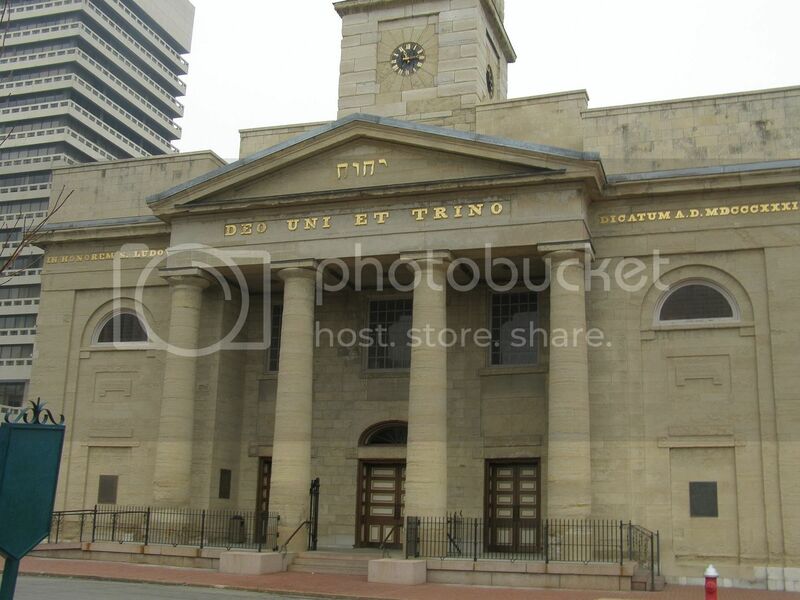 The triangle pointing downward has a connection with the The Shield of the Trinity which dates back to the 1100's. It is a triangle pointing downward with the Tetragrammaton in the middle. 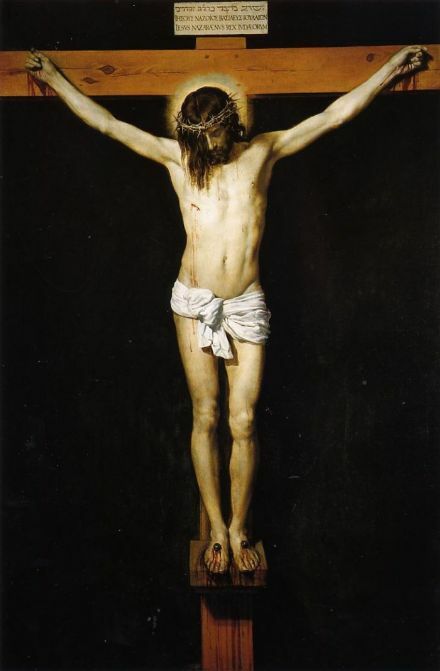 It was produced by a Petrus Alfonsi a former Jew converted to Catholicism. Mathew Paris in the 1200's reproduced a Crusader knight holding a shield in the form of a triangle thus called "The Shield of Trinity." DOES MAN HAVE AN AUTOMATIC EXPIRATION DATE OF 120 YEARS AS GENESIS TELLS US? NASA SUSPENDS RELATIONS WITH RUSSIAN SPACE AGENCY! Has Edgar Cayce's Hall of Records been found? SPACE WARS: RUSSIA AND CHINA ARE GETTING PREPARED. IS AMERICA READY?